My father wanted me to take over the family watchmaking and jewellery business in Melbourne, but I could see the bigger picture and went to work for Toyota in 1976 and in 2011, became the President of Toyota Technical Centre for Australia - Asia Pacific. I was very fortunate to be born into a family of “engineers”, or at least one where “getting your hands dirty” and “having a go” was the order of the day. My father was a watchmaker and jeweller by trade, but a guy that would have a go at anything from repairing cars to building an extension on our house, and on my mother’s side, her brother was a very gifted engineer who would have been very successful in his field had he not passed away at 33 years of age. It seemed from an early age that I was to follow in their footsteps as I was interested in all things mechanical and wanted to know how and why things worked the way that they did. On the weekends and after school, I was always building billy-carts, the final one I remember was one with a steering wheel. I copied the steering design from a toy tractor that I had at the time. If I wasn’t building billy-carts, I was building “huts”, whether underground, in trees, or on stilts. On reflection, I believe that I derived more pleasure from the actual construction of the project than utilising it. I also recall constructing a Morse Code set when I was in primary school that was connected between my bedroom and that of my best friend who lived next door - it was a success but we could never remember the Morse Code itself! When I was in secondary school, I had a love for model cars and planes and spent many a waking hour assembling and painting these. I also went as far as to use a fine jewellers saw of my father’s to cut out the doors of the model cars and fabricate hinges from copper wire in order to have opening doors on all my models. Later, during my time at secondary school, I started to play the electric guitar and converted an old radiogram that my grandmother had into an amplifier. It worked quite well but I don’t think that the speakers, produced in the 1940’s or 1950’s, were designed to handle electric guitars. Up until this time, I had not thought too much about a career, as it was an understanding between me and my father that as the eldest son, I would take over his watchmaking and jewellery retail and wholesale business in Noble Park. I was quite happy with this direction until an event at my secondary school that provided me with the opportunity to experience a completely different aspect of life and opened my eyes about what else was out there. This occurred when I was in 4th form (Year 10 in today’s speak), which was around the right time for career decisions. The event was a school play being organised by the music teacher, which was to be put on by the students and run every night for one week. I was part of the lighting and sound team and also played rhythm guitar in the band that provided all of the music for the play. The headmaster had agreed that the production group would have to attend English and Maths classes, but otherwise would be free to work full time on this event for three months. To cut a long story short, I enjoyed this activity immensely and realised that there was much more to working than taking over my father’s business. As a result and after much deliberation, I concluded that my future lay in engineering and decided that I would continue on with my education with the aim of becoming an Electrical and Electronics Engineer. I did this and graduated from Monash University with a double degree. As an aside, I can still remember the look on my father’s face when I told him that I wanted to be an engineer rather than a watchmaker. I also recall that he did not speak to me for three weeks after that discussion, but to his credit, he forgave me and supported me strongly to proceed with my chosen direction. Ironically, my two younger brothers followed my Dad, and both joined his business and made a success of their lives, albeit in quite a different direction to mine. During my holiday breaks at university, I worked for a small specialist electrical contracting company known as Cummings & Smethurst who specialised in the electrical machine side of the printing industry in Melbourne. The two principles of the partnership, Glynn, Ken, and Ken’s son, went out of their way to share their knowledge of electrical machines with me, a green university student, and this helped me significantly during my future studies, but more importantly, they instilled in me a very strong work ethic that I still live by today. I thank them immensely for that. Anyway, by the time I graduated in the early 1970’s, it was time to find a job and at that time the electronics revolution was happening in Australia and I was very keen to join a group at the cutting edge - television or aviation. However, it seemed that the TV or aviation industry was not so interested in young, inexperienced engineers, so try as I may, I was unable to find a position. However, all was not lost! Even before I started school, I had fallen in love with cars and this continued to grow through my schooling and experimenting years. I was brought home from the Oakleigh Hospital in Melbourne in my father’s 1938 Oldsmobile sedan and so began my love for cars. As I grew, my father regularly replaced his cars starting with a brand new FX 218 Holden and then onto a myriad of others including a 1953 Anniversary Ford Customline, a brand new FC Holden sedan and 1957 Chevy which, believe it or not, he traded in for a “Mustang Bred” Falcon in 1967 - what sacrilege! I loved all of these cars but the car that really had an effect on me was my father’s friend’s 1964 Pontiac Parisienne. I decided then, at the ripe old age of about 13 that I was going to have one of these cars. So it seemed natural that if I could not get into TV or aviation, why not join the automotive industry and combine my love of cars and my career? That decision being made and after many disappointments, I was lucky enough to find a job with Toyota (Australian Motor Industries as it was known then) as an Electrical Product Engineer in the newly established Product Engineering Division in Port Melbourne, Victoria which focused on part localisation for Toyota Products, produced in Australia in accordance with the Australian Federal Government’s “Local Content Plan”. Although this was a very interesting role, I had decided that I would give it a go for about three years and then try my luck again in the TV and/or aviation Industry. That was thirty-six years ago and I am still here! In those days, the Australian automotive industry was expanding and changing very quickly, and none more than Toyota. It seemed that I had a new or different job to do every year or so, and this combined with my love for cars in general, was more than I needed so I was hooked, which now appears to have been for life. I was very lucky to join Toyota at that time and have been able to learn very much, experience new challenges, and grow with the company. After starting in the electrical area of Product Engineering, I moved into Electronics and then into Body Interior Design and later established the Product Planning Department for what was now AMI Toyota. In the late 1980s, in a parallel role, I was appointed as the Product Planning Manager for the newly established joint venture company formed between Toyota Japan and GM USA, known as “UAAI” (United Australian Automobile Industries), formed to manage the model sharing activities between Toyota and Holden in Australia. This provided me with a great opportunity as I had the chance to work with and get to know the people and the operation at GM Holden. This experience instilled in me a great respect for the people, passion, and capability of that great company. After the dissolution of UAAI in the mid 1990s, I was appointed General Manager of the Product Management Division at Toyota (now TMCA – Toyota Motor Company Australia) responsible for the product planning of all Toyota and Lexus models sold in Australia and exported from Australia. After a couple of years there, it was decided that I should broaden my experience, and as a result, I was transferred to the Purchasing Division as the Divisional General Manager. This was a huge change for me as I had been a “technical guy” all of my career, and at first I was rather reticent, but then realised it was another opportunity for my personal development as well as for my career. The purchasing people were also a little concerned as they had never had an engineer as the Chief of the group, but we worked together and taught each other so that we became quite a successful and, I believe, respected group. During this time, Toyota Japan, also appointed me “Local Chief Engineer” for local production vehicles, which was also quite a challenge and required me to visit Japan on a monthly basis. This role was concurrent with that of my responsibilities in Purchasing. By the time 2001 came around, after three years in Purchasing, it was time for another change. I went back to Product Planning and Engineering as the Divisional General Manager and also retained my “Local CE” role. In 2003, I was appointed to the Board of Directors at TMCA as Executive Director of Purchasing and Engineering – a goal that I had set myself many years earlier. Around that time, following the realisation that Toyota had many local Technical Centres like ours at TMCA spread around the Asia Pacific area, Toyota Japan commenced a study to ascertain the merits of combining these into one or leaving things as they were. The result of that study was that Toyota would combine these, but into two Technical Centres – one in Thailand and one in Australia. These would become two of only four Toyota Technical Centres outside Japan and both commenced operations in 2005. In 2004, I finished at TMCA and commenced at Toyota Technical Centre – Asia Pacific – Australia (TTC-AU for short) as Vice President and Executive Director and was appointed President in January 2011 – the first local President of a Toyota Overseas Technical Centre – that is my career so far. Earlier in this article, I mentioned that at about thirteen years of age, I decided that I had to have a 1964 Pontiac Parisienne. As you can see from the above, time and University passed, and then marriage and kids, and of course a lack of money, all of which combined to preclude me from buying my dream car. Then in 1997 the opportunity came up to buy a 1968 Pontiac GTO, which I did and spent many an hour and a lot of money restoring, but I was hooked! I then went on to buy my 1964 Parisienne and a 1975 Pontiac Trans AM both of which have since been restored. I saved hard and was now in a position to think about buying a Corvette - another one of my dreams. I found a very nice 1972 Convertible Corvette with manual transmission that had been recently imported into Australia. Since then, I have also added a couple of other cars from the 1960’s to the group - you can see that I am truly a child from the 1950’s and 1960’s who is reliving his youth! Going back to the start of my driving career, my very first car was a 1959 FC Holden that my father bought for me when I was still at University. Unfortunately, it was not in very good condition and as a result, I spent all of my spare time and part-time job money on that car which I kept all through University, but it was a great way to learn about cars from a hands on point of view and I cut my “restoration teeth” on that car. After my graduation as an engineer, I then purchased a 1971 Rambler Hornet, which in those days was quite a car. 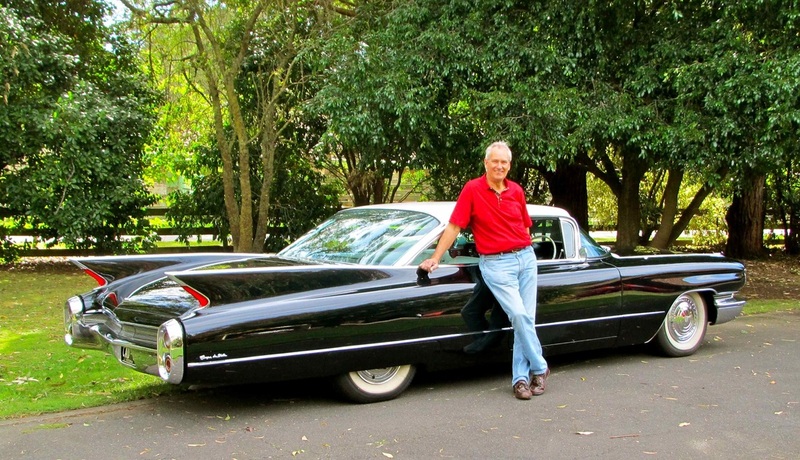 I kept that car for a number of years until, through my Job at Toyota, I was lucky enough to be provided with a company car, and from then until I purchased the 1968 Pontiac GTO, I never actually owned a car. In closing, I think it would be fair to say that this boy, born and bred in Melbourne, has been truly lucky to be able to combine a love of cars with his chosen career and that career with a great company such as Toyota has enabled him to be truly happy in his job and enabled him to indulge in his passion for American cars from the 1960’s and 1970’s. That’s it! Thanks for taking the time to read my story, Max. Education: Heather Hill State School in Melbourne, Victoria. 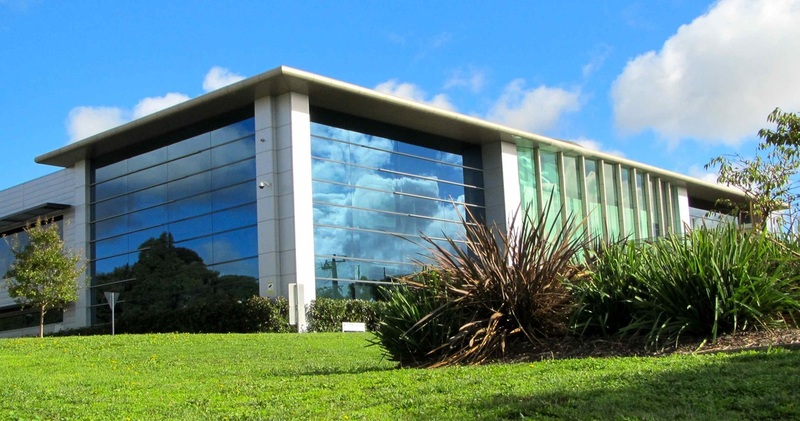 ​Monash University, four year double Degree in Electrical & Electronics Engineering. Career: 40 years at Toyota, and started as a Electrical Product Engineer in Port Melbourne in 1976. Travelled overseas: 347 trips to Japan. 50 trips to other countries including USA and Europe. Interests: Water skiing, home renovations, gardening and classic US cars. 1. 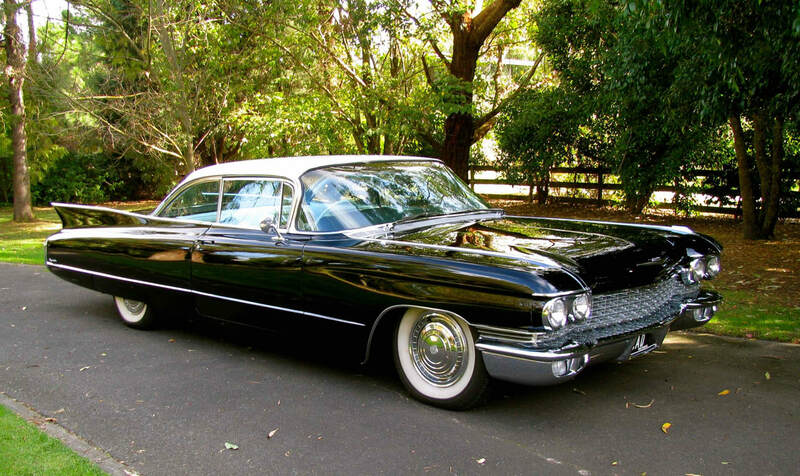 1960 Cadillac Coupe Deville (Black Pearl with White Roof) - 2 photos at top of page. 4. 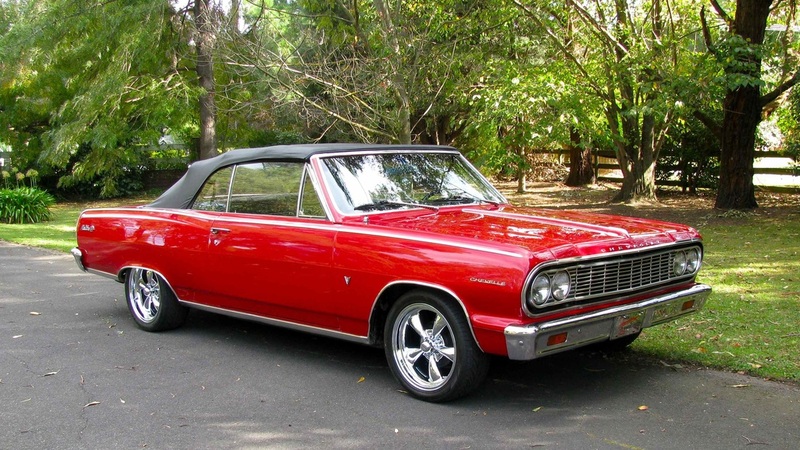 1964 Chevrolet Chevelle Malibu SS Convertible (Bright Red) - Last photo below. 5. 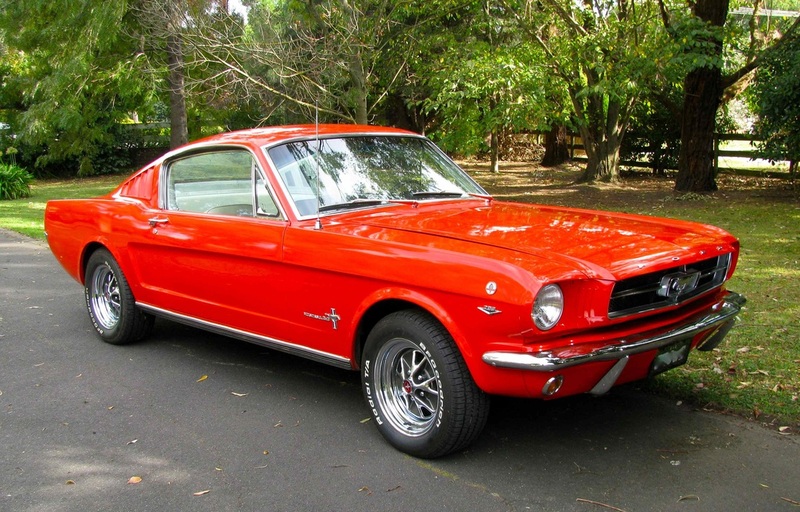 1965 Ford Mustang Fastback (Poppy Red) - Photo above. ​10. 1975 Pontiac TransAm (Black) - Photo below. “The two most important breakthroughs or technologies that have benefited cars and the community at large which rate the highest with me would have to be ABS (Anti-lock Braking System) and VSC (Vehicle Stability Control). Naturally, I recognise the benefits and contributions of technologies such as air bags, crumple zones, seat belts, collapsible steering columns, etc., but these only come into play "after the event", so to speak. ​Note: I met Max Gillard in 2012 at the Toyota Technical Centre in Notting Hill, Victoria, for this interview. ​See more photos and related links below. The LandCruiser has now become the first vehicle in the Toyota range to adopt the added safety of trailer sway control. The system - enabled by and integrated with the existing vehicle stability control technologies - helps the driver in the event that a trailer starts to swing from side to side. It is designed to suppress swaying that can be triggered by factors such as crosswinds, bumpy roads and sharp turns of the steering wheel. It detects trailer sway based on information from the vehicle’s yaw-rate sensor, acceleration sensor and steering sensor. If sway is detected, the system uses deceleration control and yaw-moment control to suppress the effects. It warns the driver via the slip indicator in the instrument cluster and alerts following drivers by illuminating the stop lamps. The system operates seamlessly and does not require the addition of hardware or any change to the trailer.